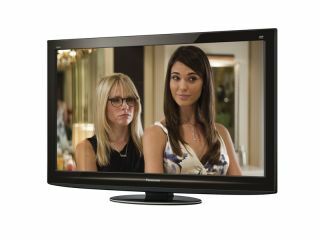 Which is the best Plasma TV in the UK? We're platform-neutral here at TechRadar, of course, but we find it hard to beat a pricey plasma. Sure, they're not always as flat as LED-backlit LCD TVs, but they're far cheaper - and offer the kind of cinematic picture that's hard to beat. Without any problems with response time and blur, and having shifted a nasty reputation for 'screen burn', plasma TVs are now widely considered a fine flatscreen tech for gaming. Now with added 3D skill - it's plasma that offers the cleanest, most impressive 3D images - plasma is undergoing a renaissance. And with top screens like these hand-picked plasmas, it's no wonder that the plasma TV market has increased by 15 per cent in the last year. At first glance, LG appears to have a definite winner on its hands with the 50PK790. It's extremely easy on the eye, it's got more than enough connections to satisfy even a very sophisticated, extensive AV system, it's got lots of helpful features (including reams of multimedia support), and it produces what are for the most part seriously likeable pictures. All for a pretty reasonable price, too. Panasonic does make the blackest panels around, but that applies only to its step-up models, the G20, V20 and VT20 Series of 'Neo PDP' (and the latter, 3D) panels. Gloomy scenes contain enough shadow detailing, and certainly more than a similarly priced LCD TV, while colours fly from the hi-res action. Standard definition channels do seem soft, though they're remarkably clean considering far they're stretched to fit the screen. A considerable step up from Panasonic's entry-level X20 range of HD-ready plasmas, this Full HD Neo PDP telly may not reach the heights of the brand's high-end models, but it makes for great value screen if picture quality is your primary concern. Easily one of the biggest TV bargains of the year. The PS50C6900's 3D performance Mercifully suffers far, far less from crosstalk noise than any of Samsung's LED/LCD 3D TVs. The TV doesn't have the best black levels we've seen in the plasma world and nor is it a particularly good SD performer, but it still delivers an awful lot of bang for not very much buck. LG's flagship plasma TV seeks to challenge super-slim LED-backlit LCD TVs by squeezing a Freeview HD tuner into a superbly designed frame that's just 52mm deep. While LG may be a jot behind Panasonic in terms of pure picture quality, the 50PK990 is deserving of its flagship status because of the way it combines some diverse features - such as USB playback, Net Cast, Bluetooth and Freeview HD - and delivers it with an ease of use that's not yet been matched by any other brand. Incarnations of Panasonic's basic 37-inch plasma have been around for years, principally because this unique size and spec has been heaped with awards. That lack of Full HD resolution is starting to grate, but the TX-P37X20 is still a fine purchase; arguably its HD Ready resolution makes it more forgiving to DVD and DivX. Black levels aren't as imperious as those of more expensive Panasonic sets and pictures aren't as bright or dynamic as those of your average LCD, but it's surprisingly detailed with hi-def - and is certainly worth an audition. Want top plasma pictures, but aren't fussed about 3D? Panasonic's V20 sets deliver most of the premium picture quality features developed for its top-end VT20 3D series without costing as much. The P42V20 really does offer a performance boost over its G20 equivalent, and so more than justifies its existence to anyone willing to pay a little more to get the best quality they can. It's a shame Panasonic didn't build the P42V20 into a more glamorously sculpted body, but aside from that it's easily one of the best 42in TVs we've ever seen. Panasonic's latest generation Neo PDP panel hails from impeccable stock: the 2D TX-P42V20 impressed us deeply, as did the step-down TX-P42G20, of which there is also now a 3D version. There are minor differences between the GT20 and this VT20: the step-up model has an additional speaker, comes with a wireless LAN adaptor and has Infinite Black Pro contrast, which delivers sensational contrast levels; no LCD TV can come close. The Panasonic VT20 is Panasonic's first 3D TV, and it's a belter. Away from 3D this screen shares much in common with the brand's 2D TX-P50G20, with dual Freesat HD and Freeview HD tuners. Identical to the TX- P65VT20 bar the size difference, this plasma pumps out the best 3D pictures around, with a much cleaner picture than can be found on LCD versions. This 50-incher is where plasma tech usually performs best, and this model from Panasonic has a great chance; it employs one of the brand's high-spec 'NeoPDP' plasma panels. Especially so, as Panasonic claims numerous improvements to NeoPDP since its debut last year, including a new filter, a new discharge gas, improved phosphors, and even a redesigned cell structure. It works wonders, though don't get too excited by this set's ability to record TV broadcasts to an external hard disk - compatibility is very limiting. The whole point of 3D is immersion, so it follows that if a 3D screen is big enough to fill your field of vision, it's more likely to deliver an immersive stereoscopic experience - and that's exactly what Panasonic's 65-inch 3D plasma does. Clean and powerful - its plasma panel's faster response time beats LCD technology when reproducing 3D images - this is the biggest and best 3D set around, though a 58-inch version is destined to follow shortly.